This post is dedicated to a FACEBOOK FAN – Tina Ball, she requested a spinach & artichoke dip recipe, here ya go Tina! ANOTHER GREAT GAME NIGHT ADDITION!! 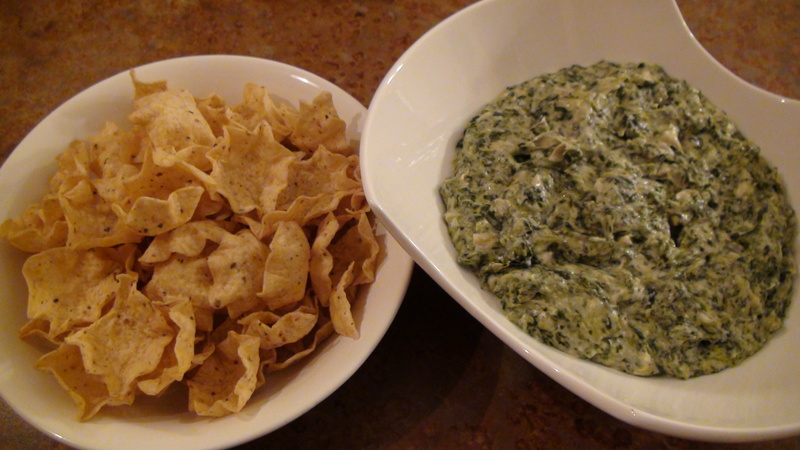 My addiction to spinach & artichoke dip began in my young adult years at Houston’s restaurant in Washington, DC. Houston’s spinach & artichoke dip just melted in your mouth, well really all their food did that BUT it was something about their spinach & artichoke dip that just kept me going back. 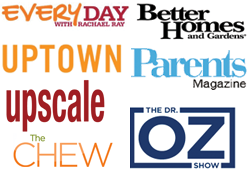 At one point my best friends and I met at Houston’s weekly for salad and spinach & artichoke dip, we were all addicted (especially Lynelle – HA yes I put you out there Nelle). This spinach & artichoke dip reminds me of Houston’s just with a mild kick to it from the hot sauce. This is one of those recipes I need to add my disclaimer: She’s Got Flavor is not responsible for any addictions that are derived from any recipes on this cooking blog! OK, now that we’ve cleared the air, ENJOY this spinach & artichoke dip, make it for friends and family so they can rave over your fine culinary skills! 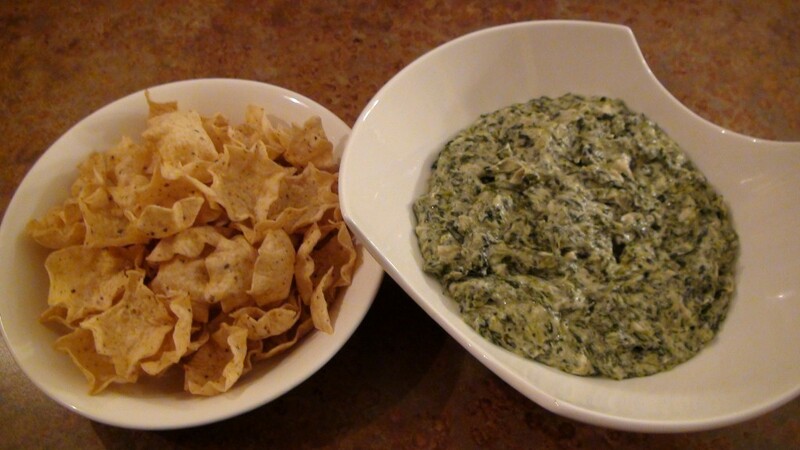 OH and by the way this spinach & artichoke dip would go perfectly with my Game Night Finger Lickin Buffalo Wings! 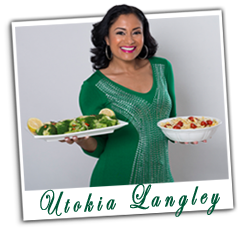 Please do not forget to LIKE my FB FAN page on my HOME PAGE and SUBSCRIBE to my blog to receive these fantastic recipes via email. AND let us not forget about TWITTER (click here)! This Spinach & Artichoke Dip Just Melts In Your Mouth & It’s Loaded With FLAVOR! This is like the best spinach & artichoke dip EVER! – ENJOY, ENJOY, ENJOY!!! I can’t wait to make this, might have to whip some up for my Ladies Night tonight to try out before i make it for the superbowl party-thanks!! OMG thank you ao much Toki! I cannot wait to make this recipe! And Houston’s was the best! Memories…..
Easy to follow recipe. Much better than I’ve ever gotten from TGIF and is right on time for the games! Thank you very much! I also was an addicted fan of Houston’s spinach & artichoke dip. Can’t wait to make this one! Girl!!!!! Have I ever mentioned that I love you?!?! I discovered your blog about a year ago and I have made alot of the lunch/dinner recipes! I think your recipes are the reason my bf (well fiance’) finally put a ring on it! 🙂 I made this on Sunday for game day and there are no words to describe the flavor!!!! My fiance (who claimed to not like spinach dip) tore this up! Its so easy to make. Ive never been to Houston’s but why go when I can have top notch spinach dip in my home?!?! Thank You! I will be making this again on Sunday! Awe thank you Sonya …. 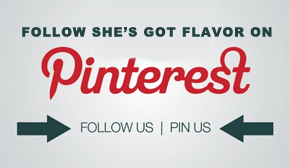 blushhhhhhhhhh … I am so happy you have been enjoying the ShesGotFlavor recipes! Take care and visit often! 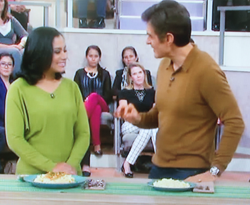 Awesome Sharon … I love it too – I can eat spinach dip til I’m full … visit us often, we’ll be posting more delish recipes!